Below are sample jury verdicts and settlements with Allstate Insurance. The purpose is to provide another resource to victims and lawyers as to the valuation of personal injury claims by providing the story of the case and how the insurance company or jury valued the claim based on the victim's injuries. How did we compile this list? We generated this list from a variety of sources, including our own law firm's settlements and verdicts with Allstate. These cases have not been selected as a random sampling and are just a small piece of the puzzle of claim evaluation. Don't think because your story looks similar to one of these cases it means that your case has the same value. Your case may be worth a lot less or a lot more depending upon a whole host of different factors. You can also look at how your injury has been valued in other cases or look at settlements based on the type of accident. It will not give you the exact amount of money you should get for your claim. But there is no calculator or formula to get the real settlement value of these cases. 2015, Maryland (Baltimore City): $70,663 Verdict. A family was driving along on Martin Luther King Boulevard in Baltimore. As they approach an intersection, another vehicle darts out in front of them, attempting to make a left turn, which causes a collision. The impact is significant, and the turning driver’s vehicle flips. The three family members in the other car are immediately driven to the emergency room, where each is diagnosed with back, neck, and shoulder injuries. The child in the car has two mild bulging discs, rendering him unable to play his beloved sport of baseball for the season. The family sues the other driver, an Allstate insured driver. Liability is admitted. The jury awards medical costs and a small non-economic damage award on top of a $45,000 settlement to one of the other family members in the car. 2015, Maryland (Baltimore County): $100,000. A woman was rear-ended and shoved into a third car. She suffered neck and back injuries. The case was complicated by the fact that she had three prior car accidents and was already on disability with spinal injuries. Still, Allstate tended the policy for the bodily injury claim after a demand letter before a suit was ever filed in the case for their insured's policy limits. Miller & Zois handled this case. 2015, Maryland (Baltimore City): $293,622 Verdict.Two people are in a car when they approach some railroad tracks. When the driver attempts to make it over the tracks, he misjudges the approach and his wheels become lodged in the track. The passenger was sleeping but was jolted awake when the wheels became stuck. The driver asks the passenger to steer the car while he tries to push it. At that moment, the crossing arms go down and the two look for a train, but cannot see it over a rock embankment. They stay in the car, thinking that the train is on the tracks opposite their vehicle. When the train begins to approach, they realize that it is on the same tracks as their car, but cannot escape in time. The train collides with the car, ejecting the passenger and carrying the driver down the tracks. The passenger suffers fractures to her pelvis and vertebrae along with bruises and hematomas, requiring surgery. 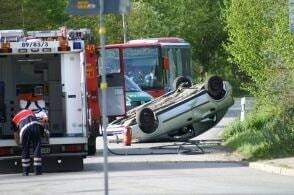 She sues the driver of the vehicle, claiming that he negligently caused the car to become stuck. The defense, Allstate, and the passenger’s underinsured carrier are contributory negligence. However, the jury awards the passenger $293,622. 2015, Maryland (Prince George’s County): $50,000 Verdict. A highway maintenance worker is a passenger in a state highway truck. When the truck attempts to merge onto I-95, it is rear-ended by another vehicle. The impact turns the trailer that the highway truck was towing on its side. The worker seeks emergency treatment the day after the accident after experiencing severe lower back pain. He receives orthopedic treatment and physical therapy. He claims that the injuries will prevent him from returning to work. He sues the other driver, claiming that they did not maintain a proper following distance. The other driver, insured by Allstate, disputes liability, claiming that the highway truck cut him off. He also claimed that the extent of the injuries was questionable. Still, the jury finds for the plaintiff. November 2013, Maryland (P.G. County): $936,504 Verdict A 33-year-old mother of four is driving her SUV in New Carrollton and approaches the intersection of Annapolis Road and 85th Avenue. A second driver enters the intersection while the mother attempts to go through and collides with her vehicle. The woman is taken to Prince George’s Hospital Center by ambulance and is diagnosed and treated for a severe ankle fracture that requires surgical repair. For six months following the accident, she is unable to put any weight on her ankle and needs third-party assistance with daily activities. She sues the driver for negligence, claiming the defendant was distracted and entered the intersection against a red light. She claims that due to her injuries she suffers from a permanent limp and is unable to stand for an extended period. Since, she has had to give up her career as a hairdresser, which resulted in her having to return to school to obtain future employment. The defendant disputes the seriousness of the injuries. Allstate had offered $70,000 before the lawsuit was filed and $140,000 on the courthouse steps. Our client believed in her case and believed in us. A jury justified that faith and awarded her $936,504.09. Ron Miller and Laura Zois tried this case for Miller & Zois. 2013: $157,500 Settlement in New York. The 19-year-old passenger of a vehicle is injured when the vehicle enters an intersection at an excessive rate of speed and strikes the rear of a vehicle that failed to yield the right of way. A suit is filed by the passenger against both drivers as well as the owners of both vehicles. Plaintiff claims a meniscus tear and a bulge of the C6-7 disc, with the need for future surgery. The driver and owner of Plaintiff’s vehicle are assigned 70% of the liability, with the other vehicle being assigned 30% of the liability. Plaintiff is awarded $22,500 for past pain and suffering and $135,000 for future pain and suffering. Our law firm has won millions of dollars in settlements and verdicts against Allstate for our clients. Learn more about dealing with Allstate in car, truck, and motorcycle accidents and other personal injury cases. $10,000 Verdict in Indiana. A woman is making bread deliveries in Indianapolis. Typical story: she was late, in a hurry, and she rear-ended the Plaintiff. The jury obviously did not believe the Plaintiff has been severely injured. $150,000 Verdict in New Jersey. Plaintiff, a 27-year-old cashier, is rear-ended by a pickup truck driven by an Allstate insured. Plaintiff claims neck injuries, back disc bulging, and a disc herniation at T6-7 and L5-S1. Allstate fights the claim on liability under its longstanding theory that no one can get hurt if there is not a great deal of property damage. Jury awards $150,000 but, regrettably, the parties agree to a high/low before trial that capped Plaintiff's case at $50,000. $203,138 Verdict in Texas. This is a classic dog bites mailman story. Plaintiff is delivering mail in Beaumont. Mailman knocks, someone opens the door, and the mailman gets a bite in the leg by two of the four pit bulls that came out. Plaintiff claims she was on crutches for months and has permanent disfigurement and limitation due to muscle damage. Allstate's insured, the owner of the property, is dismissed from the case, but the jury finds against the residents of the property. $55,000 Verdict in New York. Plaintiff is a 43-year-old self-employed delivery driver who strikes a vehicle that is illegally in an intersection on a red signal. Liability being conceded, the case goes to trial on damages only. Plaintiff’s claim includes herniations of his L3-4 and L4-5, with bulges in his C2-3 and C3-4 discs. Defense’s expert contends that Plaintiff did not sustain a serious injury. Plaintiff is awarded $45,000 for past pain and suffering, with $20,000 in future pain and suffering. $427,000 Verdict in New Jersey. Plaintiff is a 42-year-old Police Sergeant, who, while responding to a report of a home burglary, falls off the home’s back deck. Plaintiff is treated for cervical disc herniations and undergoes a cervical fusion at C6-7 and a disc replacement at C5-63 and is out of work for nine months. Allstate's lawyer argues Plaintiff has a considerable degenerative disc degeneration that precedes the injury, which is the saw they pull out in most cases. The jury, obviously, disagrees. 2013 $60,500 Verdict in Illinois. Plaintiff is an unemployed 44-year-old female who fractures a bone in her right foot after tripping and falling down the stairs in the back of her apartment. Plaintiff undergoes an open reduction/internal fixation procedure, along with physical therapy. Plaintiff sues the owner of the apartment building over the inadequate and dangerous condition of the stairs. Defendant argues contributory negligence. In arbitration, Plaintiff seeks $450,000 - $30,000 for medical damages and the rest for future pain and suffering. Plaintiff is awarded $60,500 with 50% comparative liability assigned to her. $1,000,000 Settlement in Maryland. A woman is pushing her 14 month-old son down the sidewalk in Baltimore County and is struck and killed by a Ford F250 pickup truck that overshot his U-turn. Thankfully, the child was uninjured. Some witnesses said when the truck was coming at her she pushed her child to safety. Allstate wanted a discount off the policy limit of $1 million, forcing us to filed suit. But they capitulated shortly after suit was filed. Our law firm Miller & Zois handled this tragic case. $100,000 Arbitration Award in Maryland. Plaintiff is stopped at a red light in Prince George's County and is rear-ended by a drunk driver who fell asleep. Plaintiff requires knee surgery. Allstate denied liability anyway but agreed to an arbitration after a lawsuit was filed. $106,226 Jury Verdict in Maryland. A jury in Ellicott City, Maryland awarded a woman against an Allstate insured. The Defendant was making a left turn and crashed into the Plaintiff, who suffered a cervical herniated disc. Plaintiff's case was weakened somewhat by the fact that her social security disability claim was for both this accident and another unrelated injury. The verdict was reduced to $100,000 under high-low agreement. Allstate paid its $50,000 policy limits for the at-fault driver and State Farm paid the other $50,000. $50,315 Jury Verdict in Maryland. Plaintiff is unemployed and in her 50s when she is rear-ended by the defendant at a traffic light in Washington, D.C. Plaintiff sustains soft tissue neck and back injuries, as well as aggravates a pre-existing neck and back injury. Plaintiff’s vehicle sustains $700 in property damage. Plaintiff files suit in Prince George's County because the defendant is a Maryland resident. Allstate's lawyer claims that the impact was minor and could not result in any injuries. The jury disagrees and awards Plaintiff $50,315 in past medical bills and pain and suffering. Thoughts on how much your case is worth. 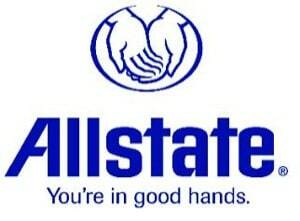 Among personal injury lawyers, Allstate is most associated with boxing gloves. They fight hard. But we fighter harder. We care more. Maximizing the value of your case is our passion. As a result, we have won millions of dollars for our clients in Maryland in verdicts and settlements against Allstate. Call us today at 800-553-8082 or get a free claim evaluation.